I’m going to tell you a secret: There’s a French-style butchery in San Francisco’s Dog Patch neighborhood that has the best quality meat in the city with a price tag that won’t make you balk. 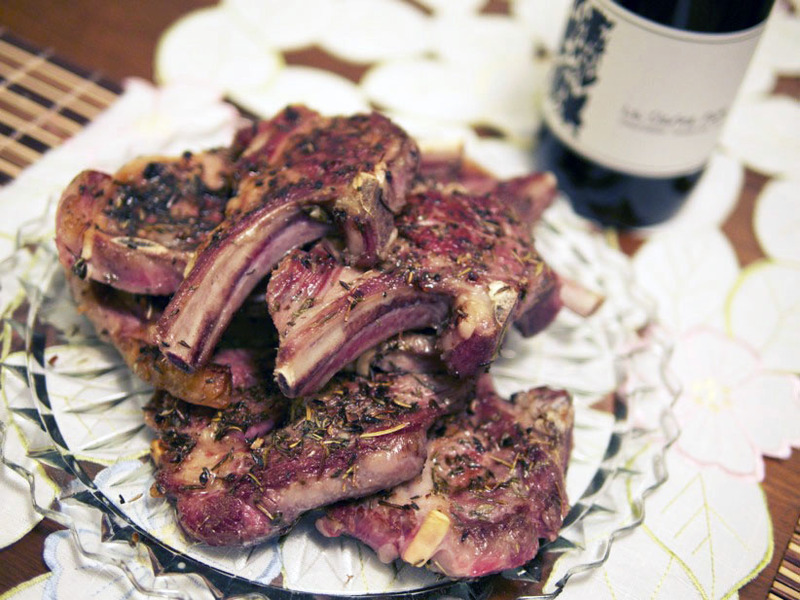 It’s called Olivier’s Butchery, and they don’t have a single freezer in their whole shop. You can browse their amazing selection of fresh pre-cut meats, roasts, and groceries, or special order any cut of meat you like and Olivier will cut it to order. This place has been my go-to since I learned about it, and I’ll never go to Whole Foods again. Occasionally, Olivier will offer a “Meat Box”; for a set price you receive a menagerie of meat products of his choosing. The draw is that you save money (15%-20% off retail) by purchasing in bulk. Everything is vacuum-sealed so it can go right into your freezer. This is a great way to force yourself to branch out and try cooking something new, as I did with the ground pork that came in my Olivier’s Meat Box. After a bit of googling, I decided that an Asian-style dish would best showcase this ground pork. I settled on Pork wonton soup, as I had some home-made tonkotsu broth in my freezer. Before we begin, let me clarify one thing: There is absolutely nothing authentic about this recipe. It’s my creation, utilizing local ingredients, heirloom vegetables, and stuff I found in my ‘fridge. 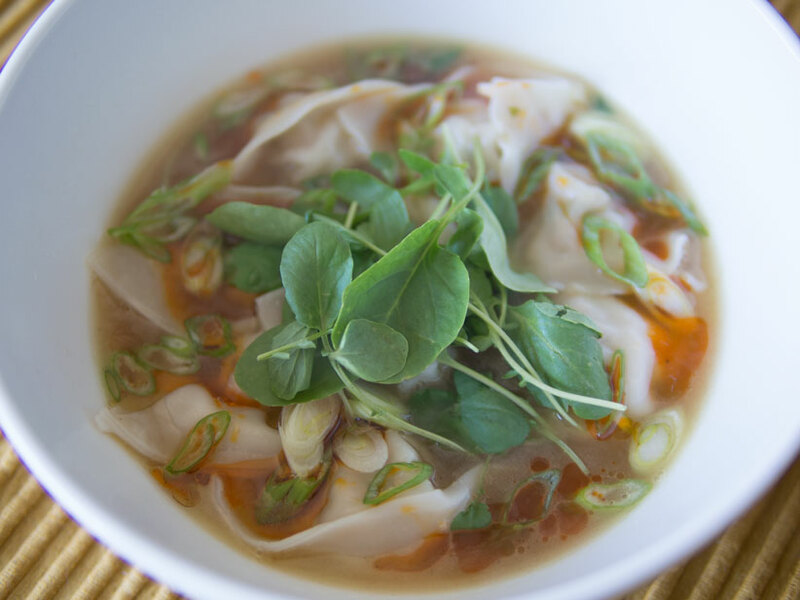 You can adapt it any way you like – change the filling of the wontons, use a different kind of broth, top it with anything you like. If you’re a purist, it’s probably not the recipe for you. Heat a medium skillet or wok over medium-high heat. Add 1 tbsp. peanut oil and heat until it shimmers. Add thinly sliced cabbage to the pan and sprinkle with a little salt to get it to release it’s liquid (you could also throw in a splash of Shaoxing rice wine to get it going). Turn the heat down to medium, toss in the pan, and cook until tender (approx. 8-10 minutes). 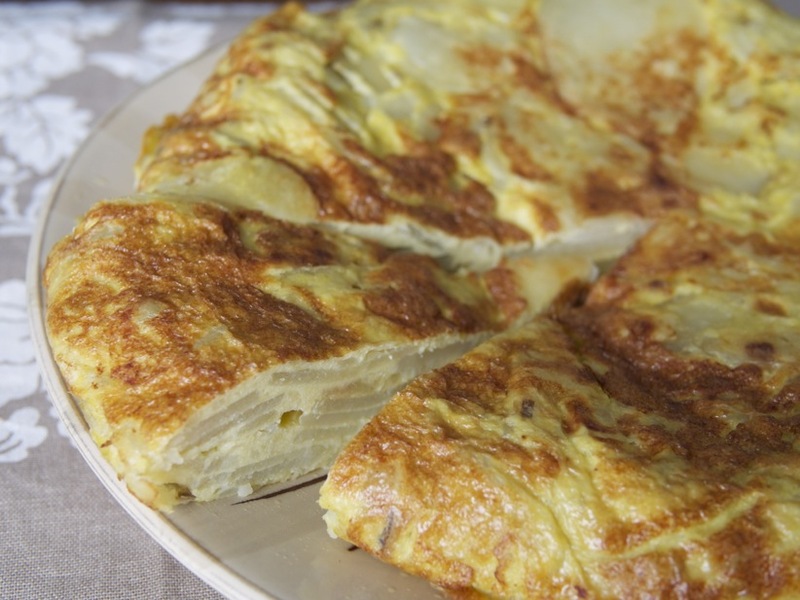 Remove cabbage from the pan and set aside to cool. In a large bowl, combine the ground pork, grated ginger, minced garlic, green onions, cooled cooked cabbage, 1 tsp. sesame oil, and 1 tbsp. soy sauce. 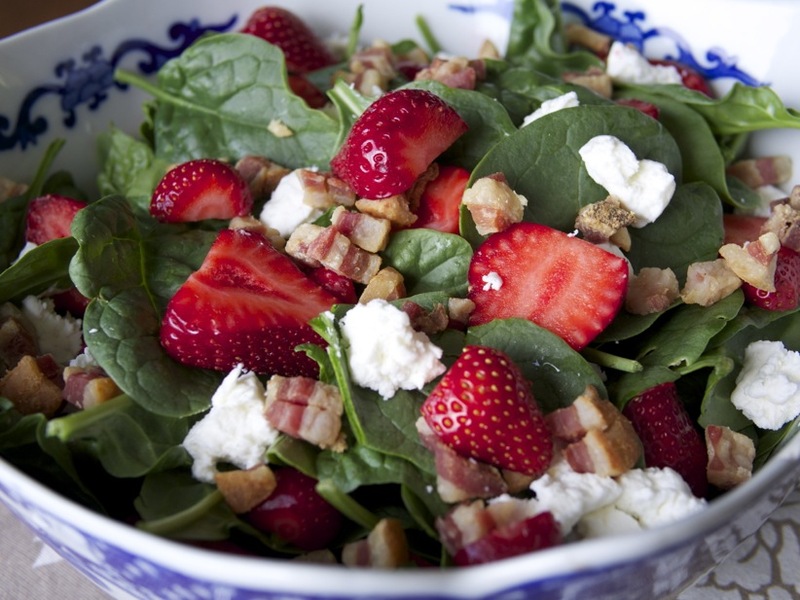 Use two forks to mix the ingredients until well-combined. Put in the refrigerator for 1 hour to let the flavors meld together. Meanwhile, heat your broth in a small saucepan. Add the rice wine, salt, and soy sauce to taste (it should be salty, but not too salty. If you over-salt it, just add some water). Turn heat down, cover, and keep hot. This is your soup base. Prepare the work surface to make your wontons. You will be making them in batches (I did 10 at a time), so your work surface should be large. Put a big plate or cutting board off to the side to place your finished wontons on after you make them. Fill a large pot with water and bring to a boil. Add 3 tbsp of salt and keep it hot until you’re ready to cook your wontons. Get a small bowl of water and place on your work surface – you will be using it to wet your fingertip to seal the wontons. Lay out 10 square wonton wrappers on your work surface. 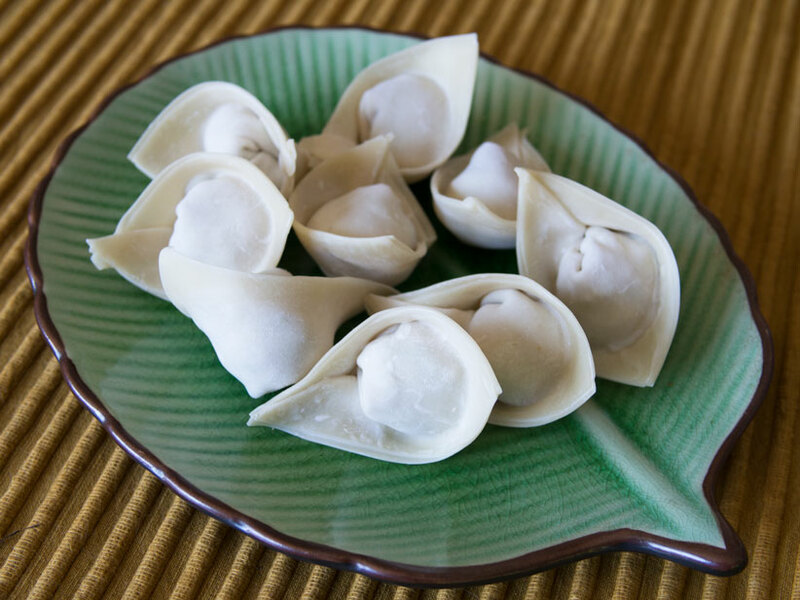 Remove your wonton filling from the refrigerator and spoon it into the center of your wonton wrappers. I found that 1 heaping teaspoon of filling was the right amount for the size of my wrappers – yours may be a different size, so just be sure not to overfill (they will be hard to seal if they are overfilled). Start to make your wontons. I do them systematically in batches of 10 – you will save a lot of time this way. You can fold them any way you like, there are a million ways to do it. This website explains 10 different ways (I used the “samosa with a twist”). Set your finished wontons aside and continue on to the next batch until you run out of filling or wrappers. Divide the cooked wontons between two large soup bowls. Ladle the hot soup base over the wontons. Top the soup with a drizzle of sesame oil, hot chili oil, and a handful of watercress or thinly sliced green onions. Enjoy with a yummy beer like Sapporo or TsingTao. It’s winter, which means there’s an abundance of wild mushrooms at the market. One of my favorite wild mushrooms is the hedgehog mushroom – a ‘shroom which has “teeth” under the cap instead of gills. They taste very much like a chanterelle and are typically cleaner and cheaper than a chanterelle. They have hollow stems, so they weigh less than the average mushroom, which makes them quite economical to cook with. 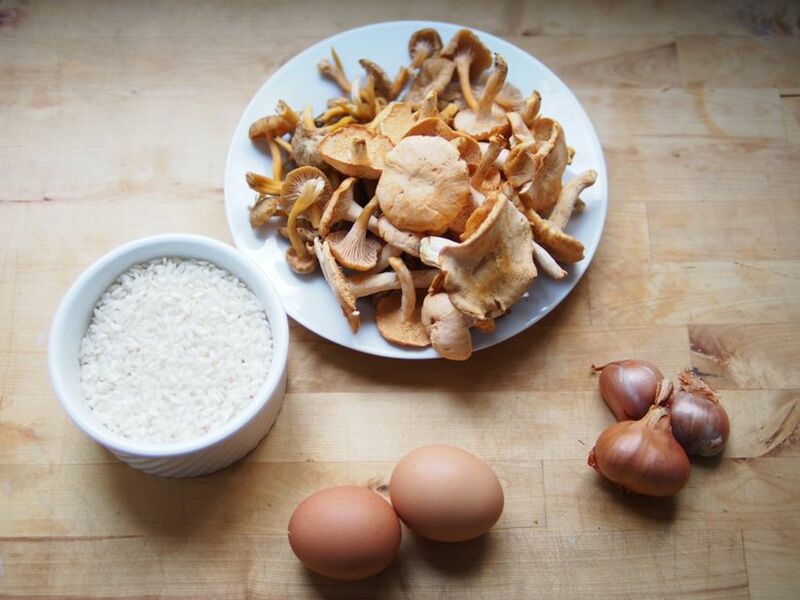 One of the best ways to showcase the earthy, foresty flavors of wild mushrooms is by using them in risotto. Contrary to common belief, risotto is very easy to make and hard to screw up. There is definitely a technique to it, which I will describe below. Mostly, it just requires a lot of attention and stirring, but it’s not hard to make. Risotto is a very versatile dish, and you could substitute any of the ingredients here with similar ones. Instead of veggie broth, you could use chicken or mushroom. Instead of shallots, you could use an onion. I used dry white vermouth instead of white wine, because that’s what I had on hand. If you can’t find hedgehog mushrooms, use chanterelles, creminis, king trumpets, or porcinis. 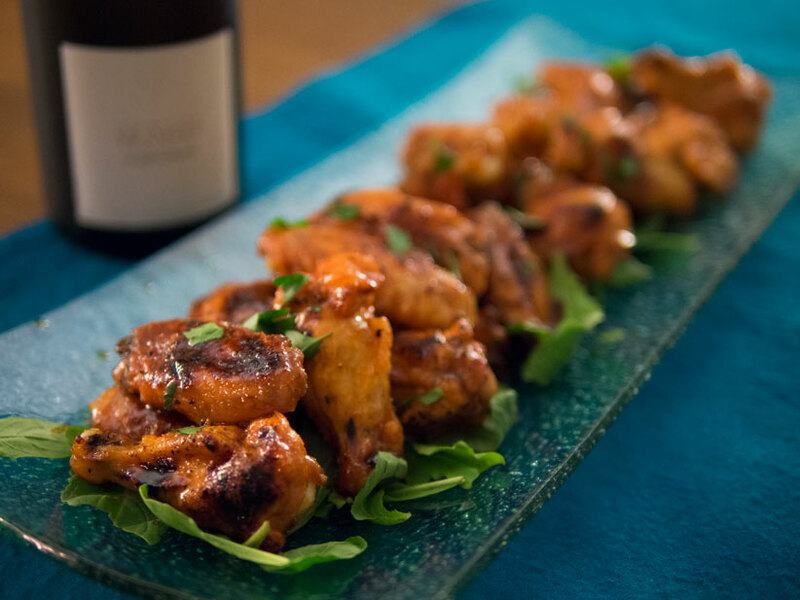 Don’t be afraid to adapt this dish to whatever ingredients you have available to you. Now you may ask, why the egg? Well, it’s a cheap and delicious source of protein for one. 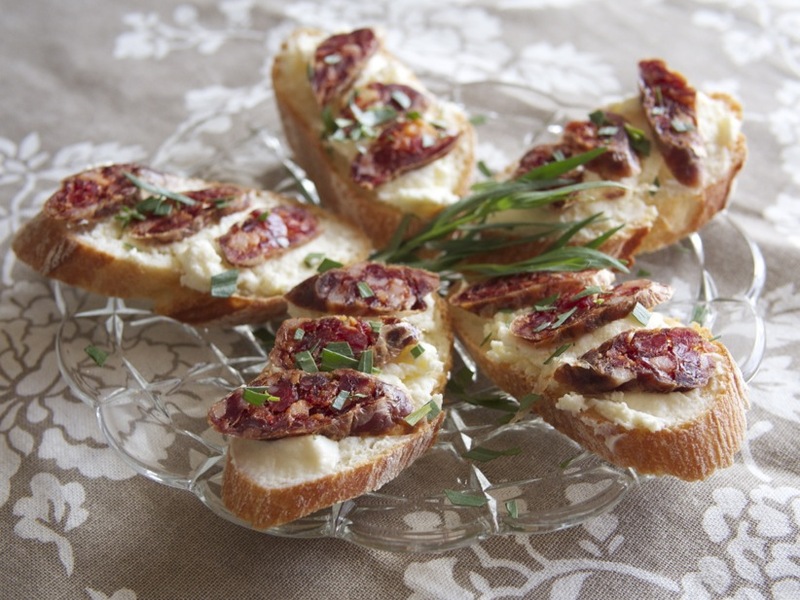 Secondly, they are a classic pairing with wild mushrooms. Third, I like to eat risotto with something “saucy” on top, whether it be ossobucco, pork ragu, or some other sort of braised meat with a rich sauce. I don’t always have 5 hours to slow-cook a veal shank, so the ooey-gooey center of a perfectly poached egg is a great substitute. 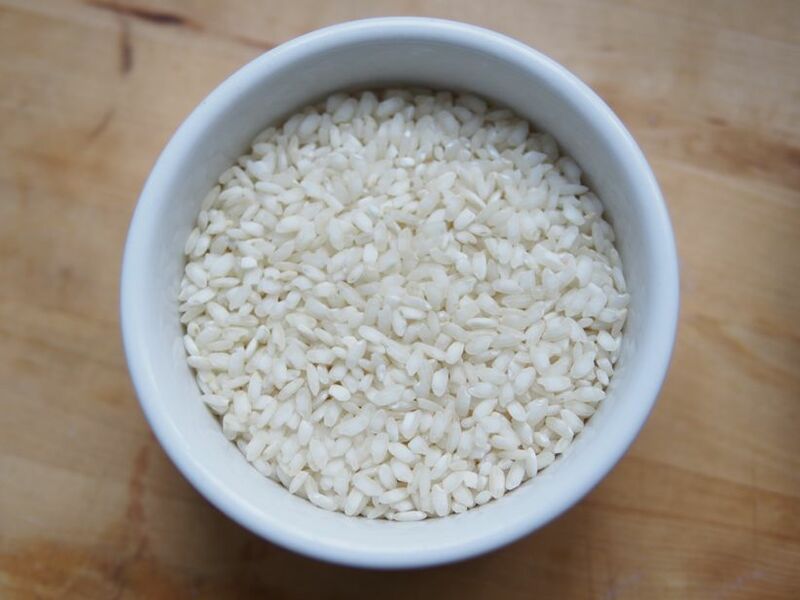 The single most important factor in good risotto is the quality of the stock being used to cook it with. Home-made stock is best. If you’ve never made your own stock at home, now is a good time to start. Vegetable stock takes just a couple of hours (vs. chicken stock which can take 8 or 9 hours) and you can use whatever you’ve got kicking around in the fridge. If you have time for chicken stock, you can find my recipe for it here. Otherwise, you can use low-sodium stock from the market in a pinch. Just be sure it’s low-sodium, because you are cooking off a lot of the liquid and the risotto can easily wander into too-salty territory before you know it. The next point of consideration is the variety of rice to use. 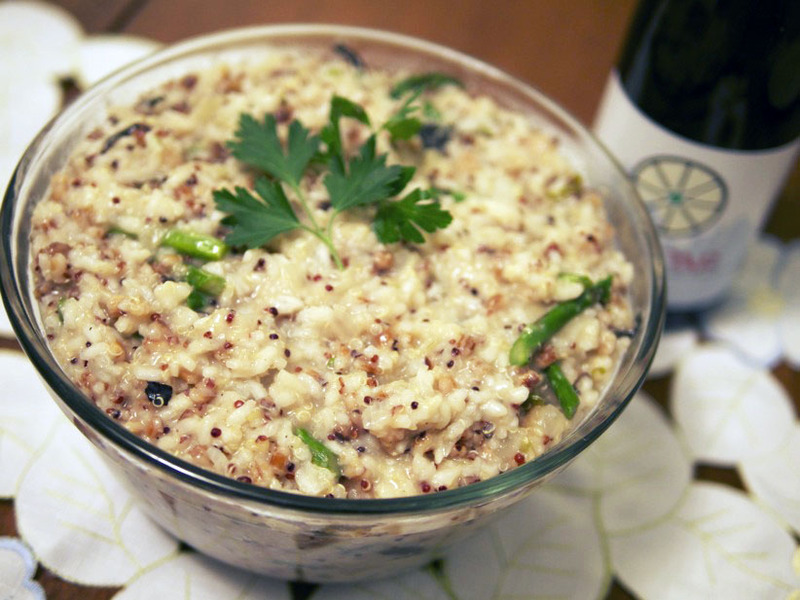 I always use arborio rice, an Italian variety of startchy, short-grained rice commonly used in risotto here in the US. There are other types you can use, but arborio is the easiest to find. Carnaroli is considered to be one of the finest and creamiest varieties. If you can find some of that, let me know so I can get some too. 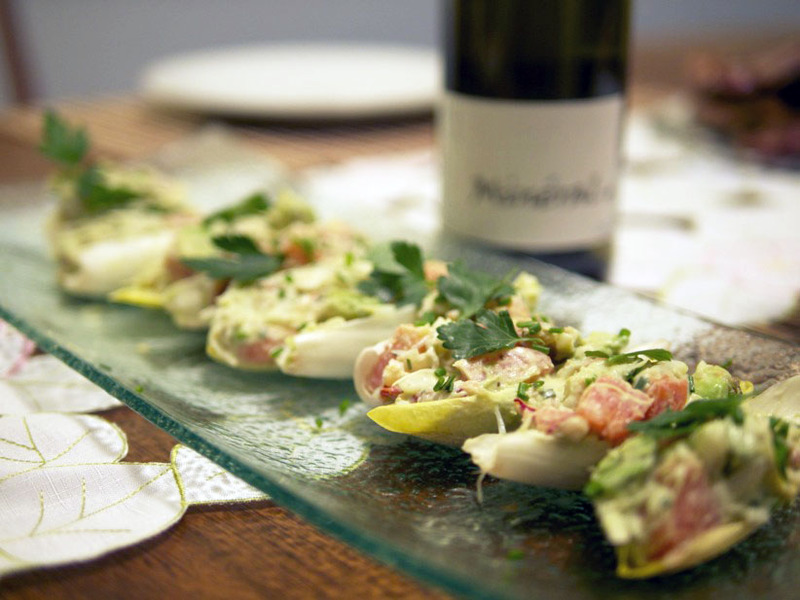 Be sure to read this recipe from start to finish before you begin. I’ve written it in such a way that everything will be perfectly timed. You will be poaching your egg while your risotto finishes cooking, so there is a little multi-tasking involved. 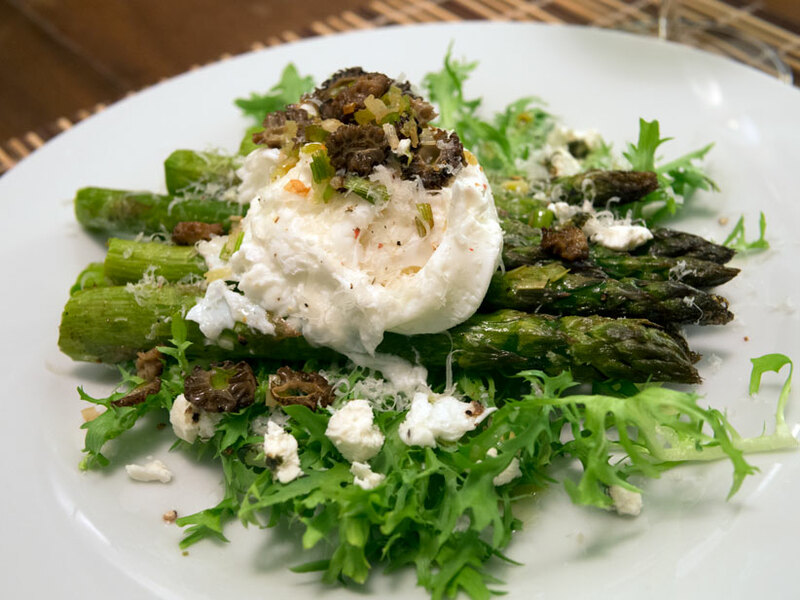 Be sure that you understand how to poach an egg before you begin (I’ve included a link to my poached egg tutorial below). 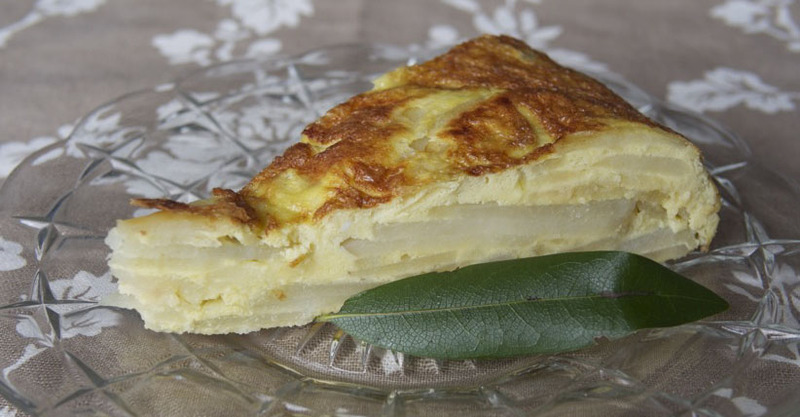 If you are not comfortable poaching an egg, you can fry one over-easy for a similar result. Most of all, don’t forget to stir! Risotto is all about constant stirring, and while you can rest for a minute or two at a time, be vigilant so you don’t burn it. Heat the stock in a small pot and keep it hot (but don’t boil it). In a small skillet, heat 1 tbsp. of butter until it foams. Add the sliced mushrooms to the pan with a sprinkle of kosher salt (this helps draw the moisture out) and cook for 5-6 minutes until most of the moisture cooks off and they begin to brown. Remove from heat and set aside. In a large skillet, melt 2 tbsp. of butter over medium heat until it foams. Add diced shallots to the pan and sprinkle with kosher salt to prevent browning. 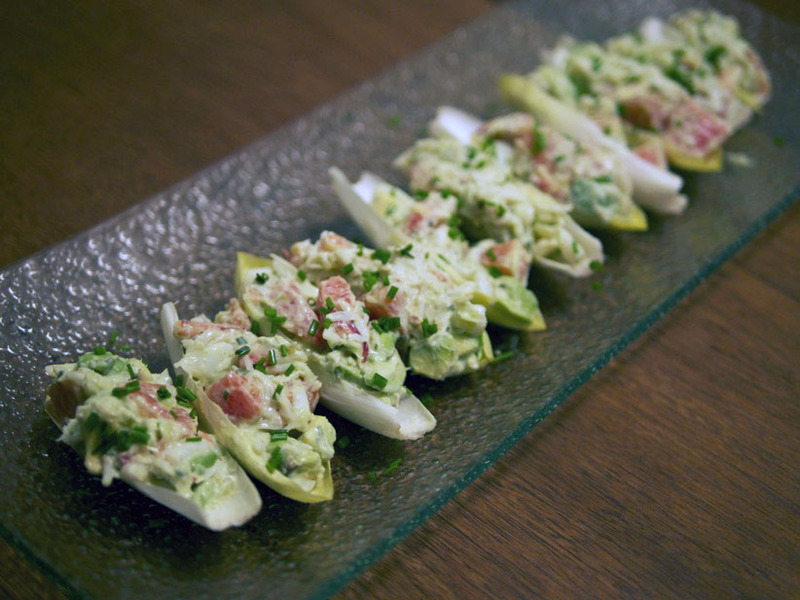 Cook shallots, stirring frequently, until they turn translucent, but don’t allow them to brown. Add the arborio rice to the shallots and butter. Cook, stirring constantly, for 3-4 minutes until the edges of the rice grains become translucent. This step is important and will result in creamy risotto. Turn the heat up to medium-high. Add the white wine or vermouth to the rice and stir constantly until mostly absorbed. Add a ladle-full (or 3/4 cup) of the hot stock to the rice and stir constantly until mostly (but not completely) absorbed. The mixture should be bubbling, but not sizzling. Keep repeating this step, it will take 15 minutes or so to get through all the stock. Keep stirring, stirring, stirring, and be sure to taste it as you go, testing for done-ness. When you are about halfway through your stock additions, fill a tall-sided skillet or low-sided saucepan with 2-3 inches of water and heat it until it simmers. Add the 2 tbsp. of vinegar to the simmering pot of water. Back to the risotto – keep stirring, tasting, and adding hot stock. You will notice the liquid changes from brothy to creamy when it’s approaching done-ness. 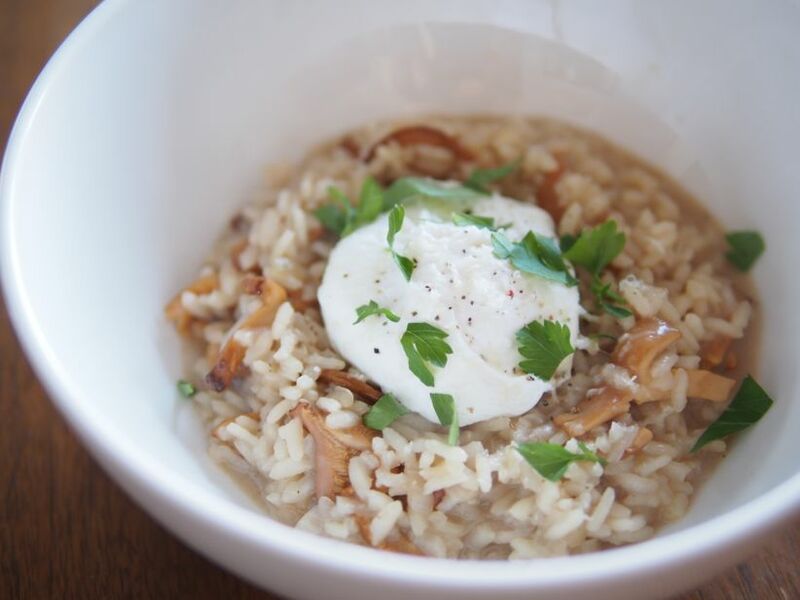 Once the risotto is almost done, you can add your eggs to the small pot of simmering water to poach. Click here to read my full tutorial on poaching eggs. Once they are in the water, cook them for 3 minutes until the yolks are still soft to the touch but the whites are cooked through. Remove them from the water with a slotted spoon and set aside. Add the cooked mushrooms to the almost-finished risotto and stir. At this point, your risotto should be done or close to it. Keep going until the consistency is perfectly creamy but not over-cooked. You want it to have enough liquid so it’s just slightly soupy. Once it’s done, add more stock to make it a little creamier, if needed. Turn off the heat. Add the grated cheese and season to taste with salt & pepper. You will probably need quite a bit of salt if you used home-made stock. Don’t be afraid of salt, but taste it as you go so you don’t over-salt it. Plate your risotto in a large bowl, mounding it in the center. Make a little well in the middle with your spoon, then lay the poached egg in the middle. Sprinkle the hot egg with a little salt, some fresh black pepper, a little extra grated cheese, and finally sprinkle with chopped parsley. If you are eating this for breakfast, you have won at life. If you’re eating it for dinner, be sure to pair it with some dry bubbly wine, such as an inexpensive crémant or even a real Champagne if you’re feeling fancy. I would even go as far as pairing it with a French sparkling rosé of pinot noir, to compliment the earthy mushroom flavors. I would avoid any wines that are excessively fruit-forward, erring on the side of mineral. 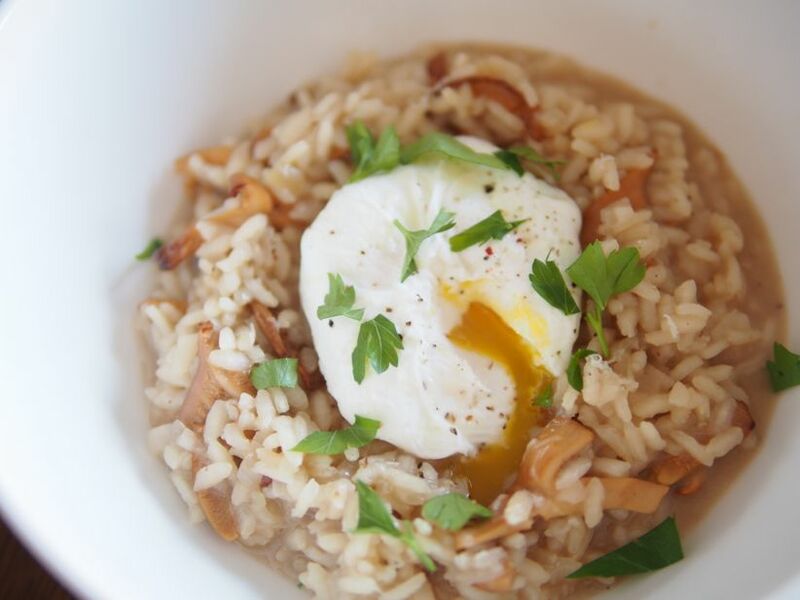 What’s your favorite way to enjoy risotto? Do you have any tips of your own? Let us know in the comments!